Copy of release on http://carbonconversations.org/time-tomorrow/press/new-book-reveals-how-stop-worrying-and-face-climate-change. The award-winning Carbon Conversations project launches its new book In Time for Tomorrow? 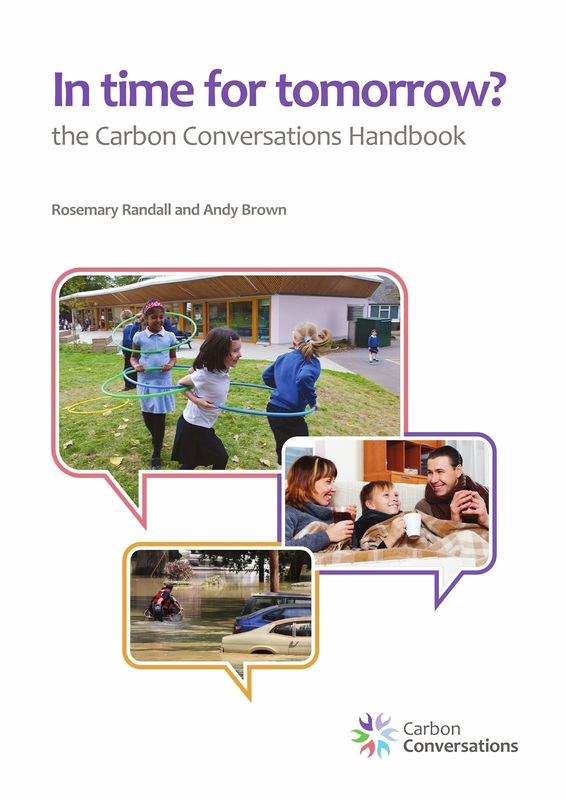 by Rosemary Randall and Andy Brown on January 14th 2015, £11.99, available at http://www.carbonconversations.org/Buy_Now and from all good bookshops. Naomi Klein, author of This Changes Everything and The Shock Doctrine. Despite the urgency of climate change, most people close their eyes, turn away and hope that someone else will sort it out. Psychotherapist Rosemary Randall and engineer Andy Brown brought their unusual combination of psychological and technical skills together and set out to discover why. The pair formed hundreds of small groups across the country where they created a safe and welcoming space, encouraged people to ask searching questions about their lifestyles and climate change, and provided them with the information they needed to make real changes. “It turns out that many of the barriers to fixing climate change are really about our fears, our aspirations and our sense of aloneness,” says Rosemary. The Carbon Conversations project was born – facilitated small groups where people can explore what climate change means, discuss how to halve their personal carbon footprints and how to engage personally and collectively with this difficult subject. George Marshall, author of Don’t Even Think About It: Why Our Brains Are Wired to Ignore Climate Change.